Every gal’s favorite color takes on new meaning with this colorful twist on a classic piña colada that’s perfect morning, noon and night this autumn. Blend first three ingredients, adding ice until desired consistency is reached. Stir in raspberry syrup. 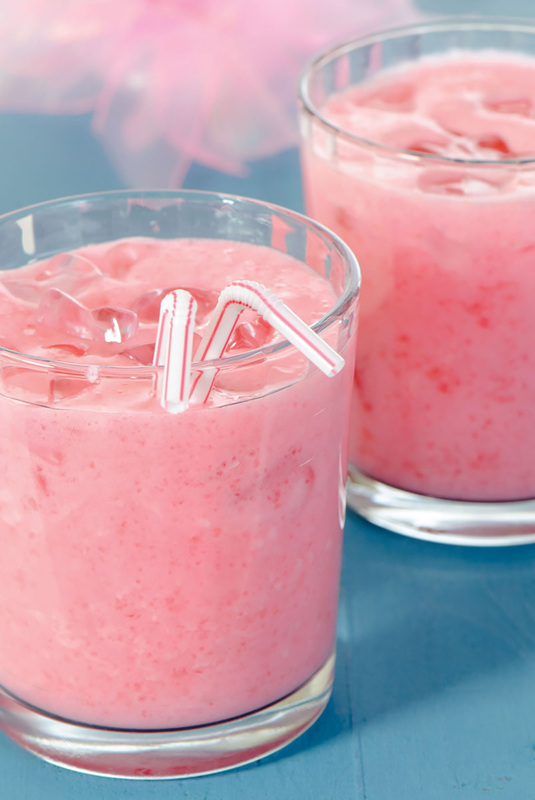 Pour into a glass and garnish with pineapples, raspberries or pink-striped straws. For a more refined evening version, replace crushed pineapple with pineapple juice and strain into a martini glass.